If you have ever wondered if there is a quicker way to schedule your posts across multiple channels, including those that showcase the benefits of user generated content, you’re not to only one! 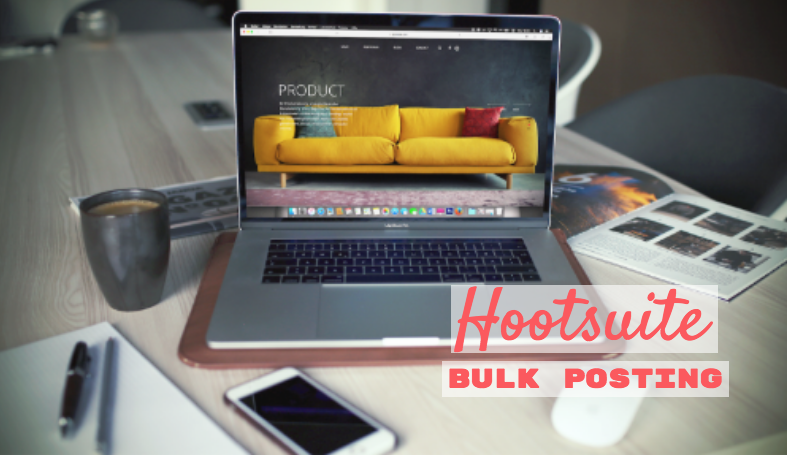 Our friends over at Hootsuite have created a platform that allows you to organize your outgoing posts across multiple channels all from one place! Users love the how much control they have from one dashboard but few people have tapped into one of their most convenient feature: bulk posting. Bulk posting allows, as the name implies, takes massive piles of posts and instantaneously set them up as outgoing posts. For this, it’s actually quite simple get started. All you need is a simple CSV file. The first column should have the date and time, the second column holds the text for the post and the third an optional URL. Once you have collected all this information neatly in your CSV file, simply upload, choose your platforms and review your posts. While choosing your platforms be aware that you can choose multiple platforms. Unfortunately, there is a 350 post limit with bulk posting. This means that if you share the same post on Instagram, Facebook, and Twitter, these would count at three separate messages because they are going to separate channels. During review, you can change a thumbnails and add photos to your posts. If there is an error, for example a Twitter post exceeding its character limit, you will be prompted to correct any error before posting. The great thing about bulk posting is that if you already have all the information at hand, it can save a few minutes of your precious time by automatically pre-loading all the information for you. Another cool feature on hootsuite is their AutoSchedule tool. This neat little button transfers the decision of choosing the right time and date over to hootsuite which then uses past interactions to gauge the best times to post. This takes all the guesswork out of scheduling. But be careful, you’ll have to turn this feature off if you want to have control over when your posts go out. For example, if you want to promote and event, you’ll probably want to send out and initial post telling your audience the details, a secondary post reminding them of the event closer to the date and maybe even a last-minute invitation for all of the stragglers just getting word. Each post should be spaced out enough as to not annoy your anyone who sees all three posts. In this scenario, having all control over the dates and times of your posts makes all the difference in the success of promotion. So there you have it, scheduling with Hootsuite has never been easier for content creators. Utilize these tools to lighten your workload when it comes to scheduling across multiple platforms. What are you waiting for? Get to posting!